Steve Biko: I write what I like. University of Chicago Press, Chicago 2002, ISBN 0226048977. 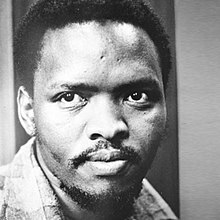 Donald Woods: Steve Biko. Goldmann, München 1989, ISBN 3442089859. John Briley: Cry Freedom Simplified Edition. Oxford University Press 1989, ISBN 0194216373.